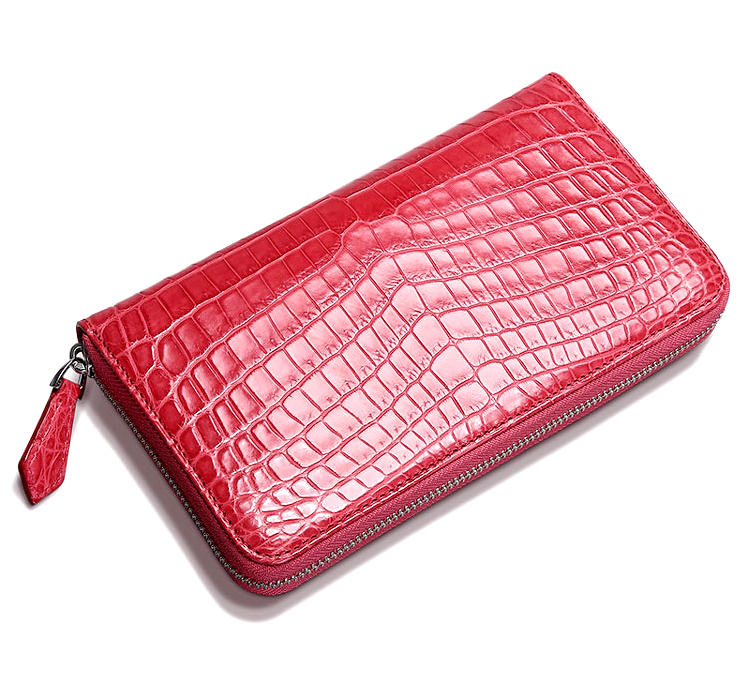 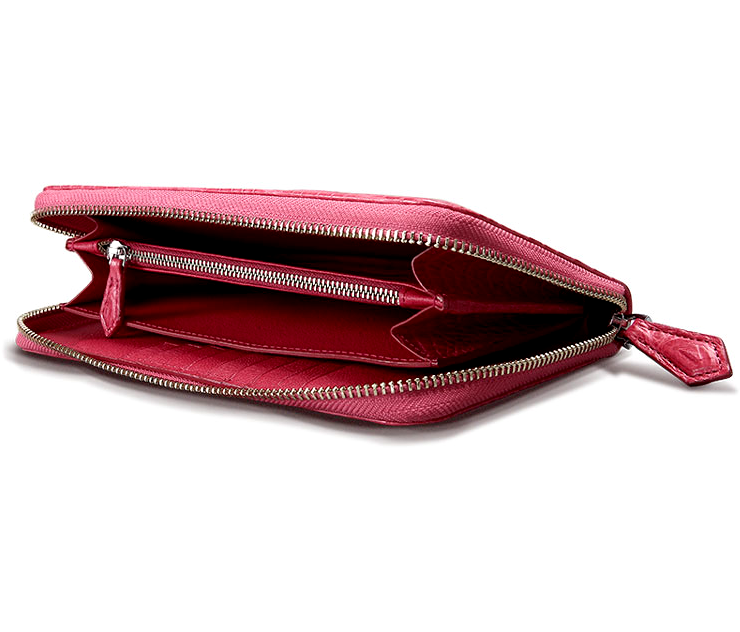 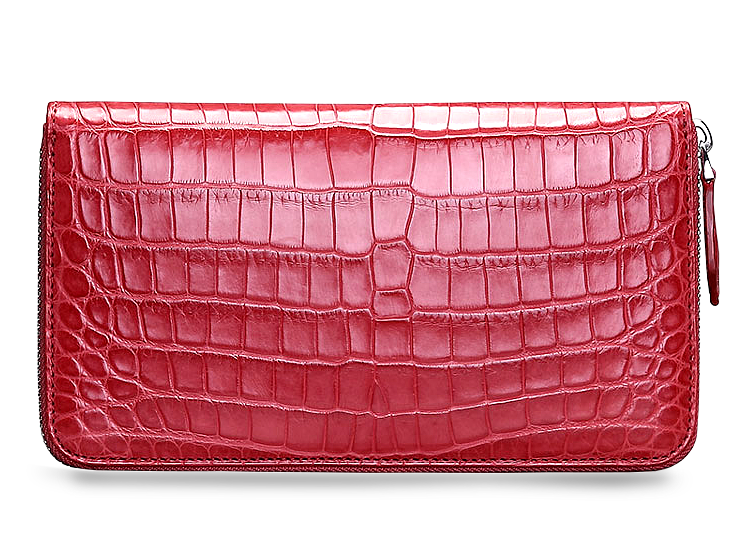 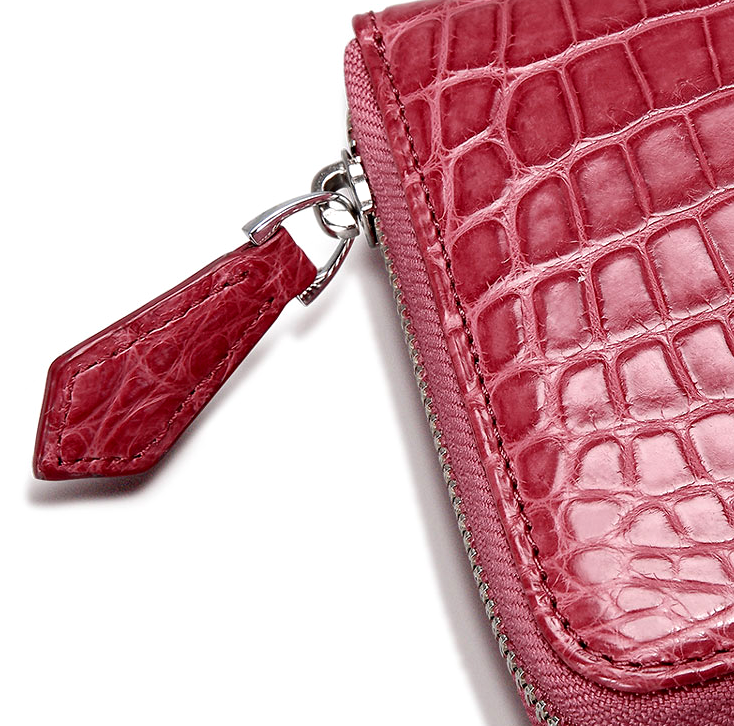 This attractively stylish ruby red wallet is perfect for travel and is designed with genuine alligator leather. 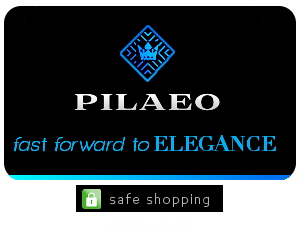 This smooth silky leather travel wallet has multiple compartments as well as a zipper pocket. 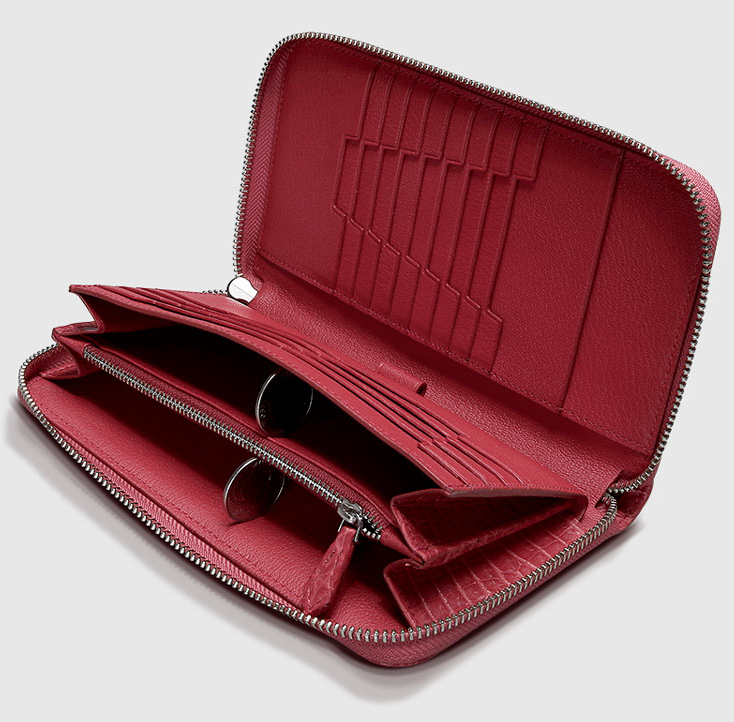 Conveniently holds cell phones, IDs, Passports, and also has a laminated zipper bag. 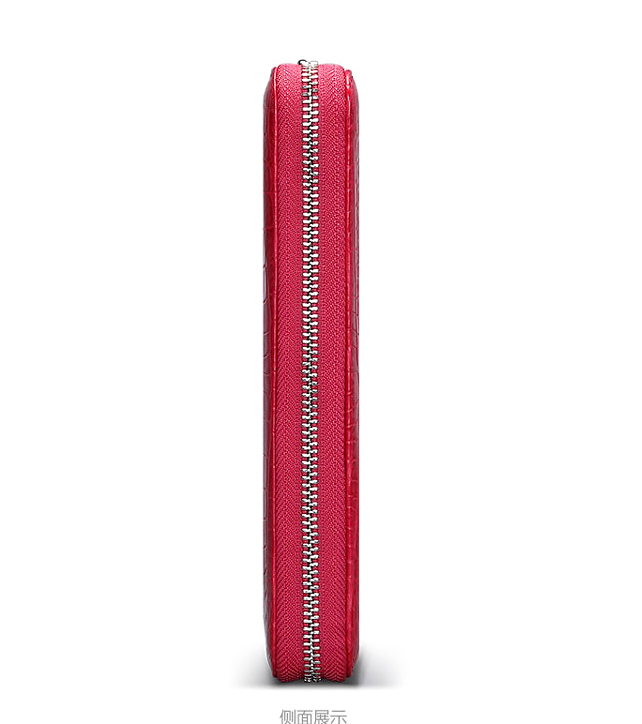 The single zip design is sleek, chic, and high end luxury.